to do with them other then cutting up for firewood. their wood the seeds for Forest 2 Furniture were set. they had fallen (none had fallen by the roadside) and mill them into planks. through our Wood Barn for others to use in their own projects we still hold true to Patrick's original goals. 1706. 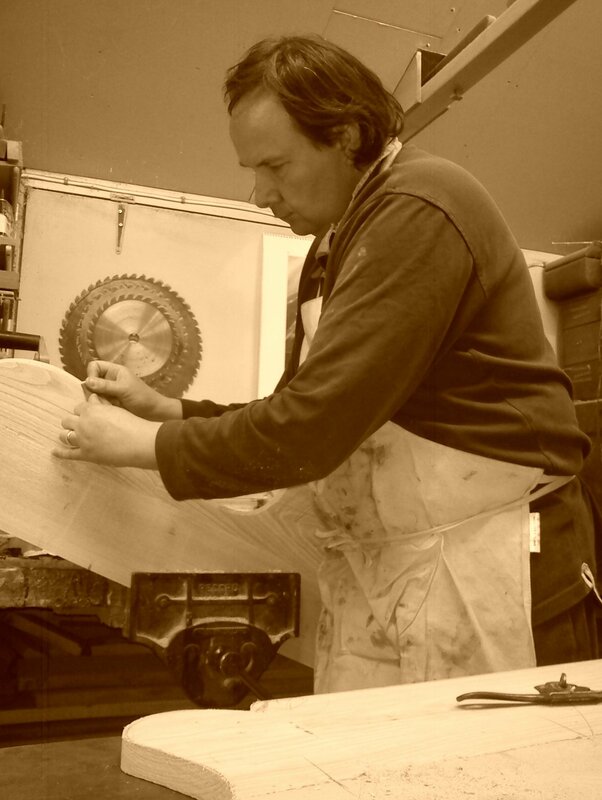 In each generation there have been either Chair Makers, French Polishers or Cabinet Makers. in Bethnal Green, London in the late 1800's. construction of furniture through the ages. is made so that a cutting list can be prepared. want to make and need to go with the flow allowing my hands and mind to work in unison." As with all artisans and their art, it is the medium in which they work that dictates how the final piece will turn out. that determine the final design. through to the finale of the finished piece is a tremendous buzz that few artisans ever enjoy. at the Milan Salone International Del Mobile in 2012. Below is a selection of the pieces that were shown, click on the image to see more detail. Child's Box Settle made from solid Sweet Chestnut and coloured medium brown. Monk's Seat made from Sweet Chestnut and coloured dark oak. Pedestal Table in English Yew with octagonal top above turned column supported on cabriole legs. Below are photos of some of his commission pieces, the latest being post's and rail's for an open plan office at a local company.